About 6pm on 6 June, 1939 Detective Sergeant  ‘ Con ‘ Carroll, the Officer in Charge of Detectives at Petersham, left his station to meet with an informant near the Sydney University. In Parramatta Road near Ross Street, Camperdown he was accidentally hit by a car and was killed instantly. A report of the death was published in the Sydney Morning Herald of 7 June,1939. Detective Sergeant Cornelius Carroll, 50, of St David’s Road, Concord was knocked down and killed by a motor car in Parramatta Road near Ross Street, Forest Lodge last night. Detective Sergeant Carroll had been in the police force 25 years, mostly in the Burwood and Petersham areas. He was in charge of the detectives at Petersham. Detectives Brown and Rowland were informed that Detective Sergeant Carroll was either walking across the road or had just alighted from a tram when the accident occurred. The driver of the motor car did not see him until the impact, which fractured Detective Sergeant Carroll’s skull and limbs, killing him instantly. Detective Sergeant Carroll’s body was taken to the Royal Prince Alfred Hospital by the Central District Ambulance. Detective Brown who was a close friend did not know whose death he was investigating until Detective Sergeant Carroll’s papers were found at the city morgue. Anyone who witnessed the accident is asked to communicate with Detective Parmeter or Detective Wiggins at the Camperdown police station. The sergeant was born in 1888 and joined the New South Wales Police Force on 24 February, 1915. 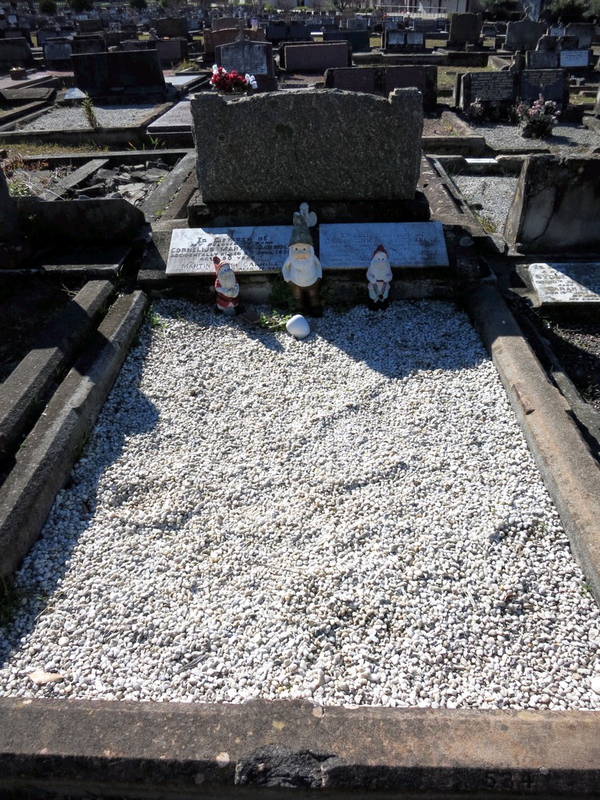 At the time of his death he was stationed at Petersham.He was buried at Rookwood Catholic Cemetery. As an aside, there was a Cornelius Daniel CARROLL who joined the NSW Police Force, as a Police Cadet, on the 12 February 1941. Cadet # 309. It is not known if C.D. 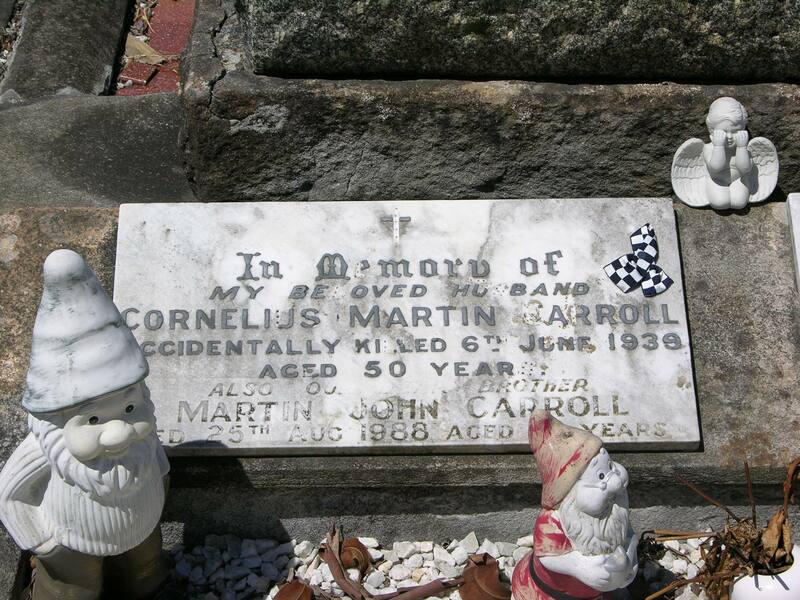 Carroll is related to Cornelius CARROLL who died in June 1939. 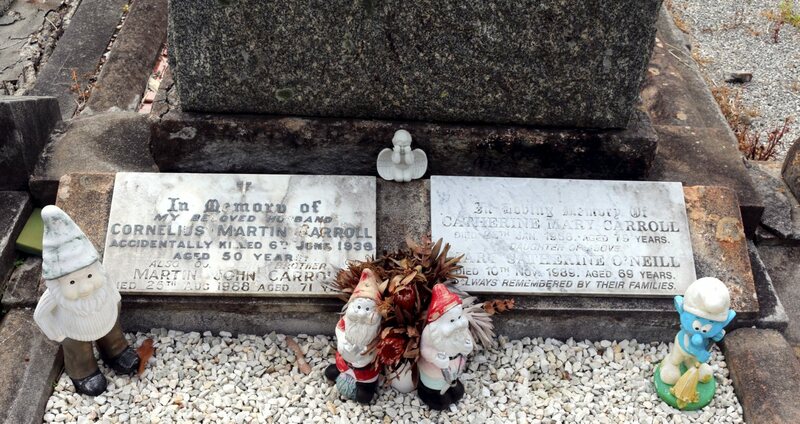 CARROLL – June 6 1939 suddenly Cornelius John ( Con ) Carroll detective sergeant of police dearly loved husband of Catherine Mary Carroll and father of Martin Josephine (Greta) Mary and Cornelius ( Conny ) aged 51 years Requiescat in pace. On June 6 th. Detective-Sergeant Cornelius Carroll (“Con” to every one) had just signed off from duty at 6 p.m. and was waiting on the Parramatta Road, near the University, Sydney, for a bus to take him home to Concord, when he observed that a car coming along was one he was looking for. On the impulse he stepped in front of the car to stop the driver, but the car crashed right into Carroll, who was flung and carried 100 yards. He was picked up and given medical attention but died very shortly afterwards from his injuries. The funeral on Thursday went from Burwood R.C. Church to the R.C. portion of Rookwood Cemetery. The cortege was headed by the Sydney Police Band playing The Dead March. Over 200 police followed as a tribute of respect to a comrade who had always been popular in the Force for his geniality and readiness to do a good turn. Con Carroll was liked and known to many of the people of the Fullerton district, as up to a few years ago he was a frequent visitor to his parents-in-law, Mr. and Mrs. Philip Horgan, of Cartwright’s Creek, he having married their eldest daughter. 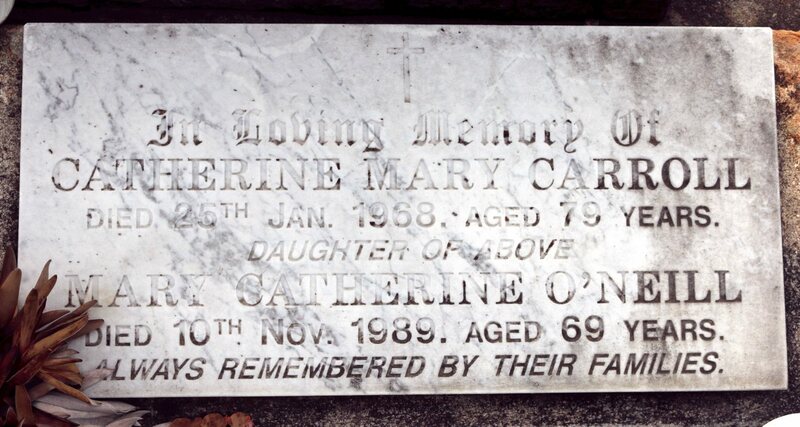 Besides his widow, he is survived by his four children, Martin, the Misses Gretta and Mary and Cornelius. Detective Carroll was born in Ireland 51 years ago and always retained a great love for his native country and his church. He came to Sydney as a young man and had been in the Police Force in the Sydney district ever since his arrival in Australia. He had resided at Davis Street, Concord, for many years. The sudden tragedy came as a great shock to his aged mother-in-law, Mrs.
Mary Anne Hogan, who always looked upon the deceased as one of her own sons. The City Coroner Mr Oram at an adjourned inquest yesterday into the death of Detective sergeant Cornelius John Carroll, 50, of Davidson Street Concord who was knocked down by a motor car in Parramatta Road Forest Lodge on June 6, found that he was killed accidentally. In previous evidence it had been stated that Carroll was on his way to keep an appointment with a female informer near the University grounds when he met his death. In announcing his finding Mr Oram said that he could not commit the driver of the car for trial on a charge of manslaughter. Evidence was conflicting but it seemed to suggest that the car that struck the dead man was travelling in excess of 30 miles an hour in a built up area when the accident occurred. It was a border line case but there was no evidence that the driver displayed gross carelessness amounting to criminal negligence. A trail of broken glass for 120 feet and a blood trail 33 feet long were described by Constable Cecil Stanley Jardine in the Traffic Court to-day when Archibald William Johnson, of Ashfield. was convicted by Mr. Wood. S.M., of negligent driving and fined £7.plus 23s 6d costs and expenses. The charge arose out of an accident in Parramatta-road, Forest Lodge, on June 6, which resulted in the death of Detective-Sergeant Cornelius John Carroll, of Petersham. James Aubrey Gibson told of a man crossing the road as though to board a tram when a car approached fast. It had dim lights. The man put a hand up but the car hit him and carried him along the road 40 or 50 yards. Johnson, who is a printer, pleaded not guilty. He said he eased to about 12 miles an hour and then increased speed to about 30. He felt a bump and saw a form disappear in front of the radiator. ” I applied the brakes and drew into the side, ” said Johnson. Mr. Wood said he would recommend the Transport Department to test whether Johnson was fit to drive a car. Either he had not been paying proper attention or there was a defect in his vision. Although wounded in one shoulder when his companion’s revolver was accidentally fired last night, Detective Cornelius Carroll insisted on carrying on with the task of searching for burglars in a house before going to hospital. When Mr W. T. Coggins, of Chalmers Rd, Strathfield, returned home last night he saw lights burning in the house and rang the police on a neighbor’s telephone. Detective Carroll, Detective Clifton and Constable Gordon answered the call. Sir Coggins and Constable Gordon went to the rear of the dwelling, while Detectives Carroll and Clifton approached the front. Carroll, with revolver drawn, was walking a few yards in front. Clifton was drawing his revolver from its holster when it went off, and the bullet, ricocheting off a brick wall, buried itself in the fleshy part of Carroll’s right shoulder. Carroll took part in a search of the house, saying that the wound was a mere scratch. The burglars had decamped, however, taking £20 worth of clothing. Examination at the hospital revealed the detective’s injury was not serious, but the bullet was still embedded. So little did Carroll think of it that he rang the Burwood police station to inform officers there of his injury, joking with his mates and asking them to send him along a pair of slippers. Detective Carroll, who was shot accidentally during a raid in search of suspects at Ashfield, is Cornelius John Carroll, a son-in-law of Mr. and Mrs. Philip Hogan, of Cartwright’s Creek, Fullerton. ” Con. ” is often to be seen in Crookwell when on a visit to his wife’s parents. His genial nature and his coolness and pluck are outstanding attractions of this big, genial Irishman.